I have had an interest in Buddism and some Buddhist thinkers for awhile, though my interest has felt like a “from the sidelines” kind of thing. I’ve also had an on again, off again meditation practice which I’d like to keep on. I decided that this year I wanted to go deeper: to commit to daily mediation, to actively learn more about Buddhism, and see where more focused effort and attention might take me. So I picked up this book, and signed up for the author’s Finding Your Path course online via The Interdependence Project. It seems to me that one of the things Nichtern means by contemporary approach is a willingness to broadly interpret (reinterpret?) translated texts. For example, the First Noble Truth is often reduced to (in English) “life is suffering”. He shares his “favorite phrasing of the first noble truth: It’s always ok to admit you are struggling.” His favorite phrasing, it seems to me, more easily opens the door to conversations about how we are, and how we might take action. While his approach is accessible, it isn’t fast. Taking meditation as an example, he tells us that we should sit ten minutes a day for at least a year, even go on a retreat during that time, and only then start wondering about the results: “Meditation only works if we give it lots of time.” It isn’t that no benefits can accrue in less time, but that short term focus isn’t the point. Developing a steady, reliable, continual practice that will allow us to feel at home with ourselves is. Within every story we tell each other, within every ad we create, within every cultural text we produce, we are either disempowering people and reinforcing their experience of the three S’s of scared, selfish, and separate, or else empowering them to experience themselves as the three C’s of courageous, compassionate, and connected. Of course, as three S’s and the three C’s are interdependent with each other, our cultural stories are usually much more complex than a simple either/or, helpful/harmful dichotomy, which is why remembering the underlying basic goodness is so crucial. So, should you read this book? If you are looking for a lot of information on the historical Buddha, or an explanation of different branches of Buddhism, you won’t find them here. If you are interested in a contemporary teacher’s take on the Buddhist path, you will probably find it interesting. 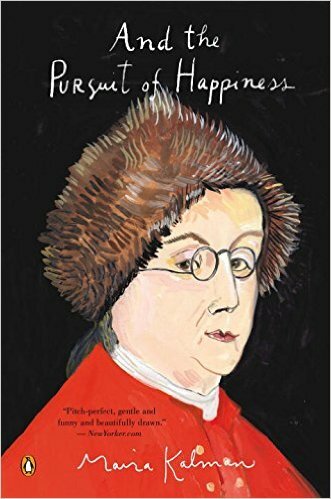 Considering how much I love Maira Kalman’s work, it took me a long time to read this book. The Founding Fathers? A year about democracy? Perhaps I am too cynical, but it sounded boring to me. I should have known better. First, Kalman’s perspective is always interesting, so much so the subject matter — well, the ostensible subject matter — may almost be beside the point. Second, if there can be a killer musical about Alexander Hamilton, maybe I need to reconsider what can be interesting. 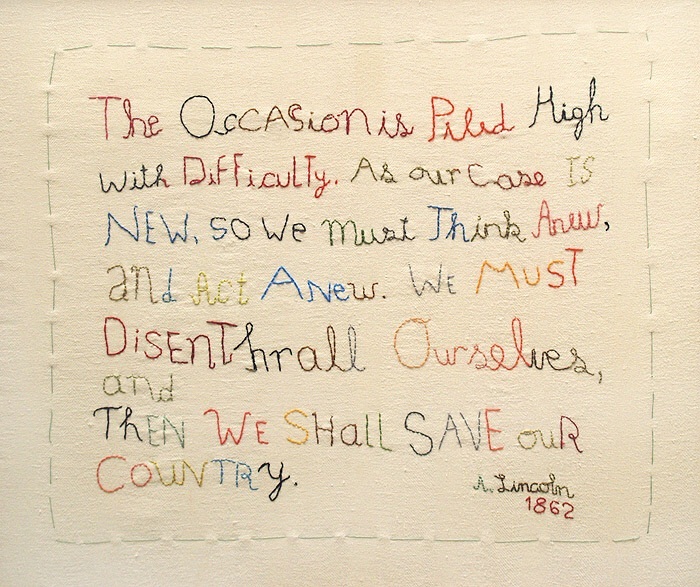 I love Kalman’s wandering mind and serendipitous connections as much as I love her bold colors, loose sketches, and handwriting. Her books are an inspiring view into a mind at work.